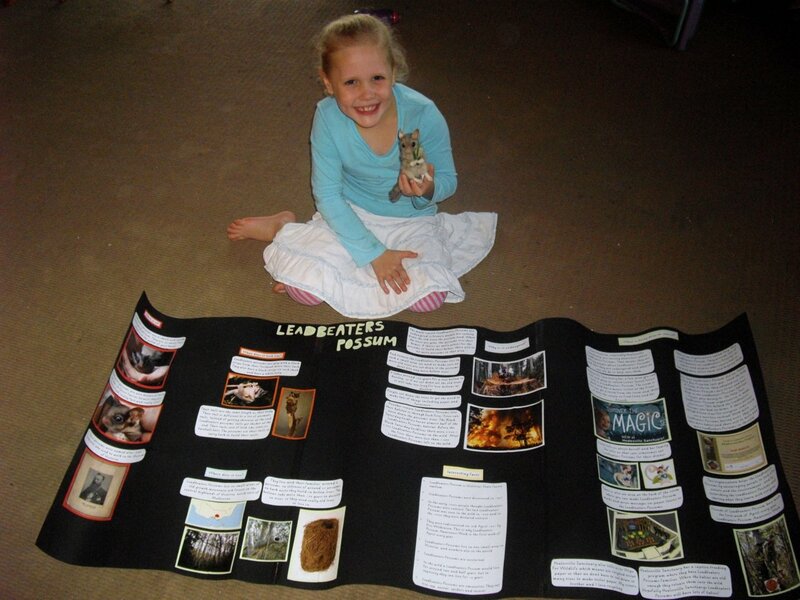 Kelsey thoroughly researched her project on Leadbeater’s Possum and produced a fabulous poster explaining all about their natural history and reasons for their current endangered status. She also gave a talk to her classmates about what she had learned. Congratulations Kelsey on producing such an interesting project. Leadbeater’s Possums need all the children in Victoria to hear about their plight! Undertaking a school assignment on Victoria’s state faunal emblem the Leadbeater’s Possum is a great way to promote the plight of this species. 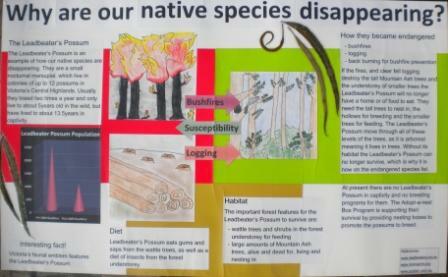 Here is a Year 3 assignment completed by one of our Friends of Leadbeater’s Possum members and Nest Box adoptees. This project was recently selected for the Science Talent Search – Australian Biodiversity competition as a finalist.